When is a truck driver working? It seems like a simple question, but the answer is a bit more complicated in the eyes of the law. According to the current Hours of Service regulations, truck drivers are allowed to be “on-duty” for 14 hours a day, and they can drive for 11 hours a day. Truckers are then expected to follow further regulations for off-duty resting as well as reset periods after 7 or 8 days of work. What Counts as “Work” for Truck Drivers? When it comes to getting paid, most long-haul drivers only get money in their pocket when they’re actually driving. Sure, some drivers get detention pay (when held at shippers/receivers) or other bonuses, but the primary means of getting paid are by Cents Per Mile. The self-explanatory CPM means that drivers get paid a certain amount of change per mile driven. The current method of payment causes frustration with drivers who are stuck in traffic or at a customer’s location. To those drivers, they are on the job even when they’re not earning money. Recently, approximately 3,000 truck drivers entered a class action suit against PAM Transport. The truck drivers claimed that PAM Transport violated federal labor laws, including minimum wage. The federal judge overseeing the case in a US District Court in Arkansas could have dismissed the case. But the judge refused to do that. This ruling means that the lawsuit can continue. 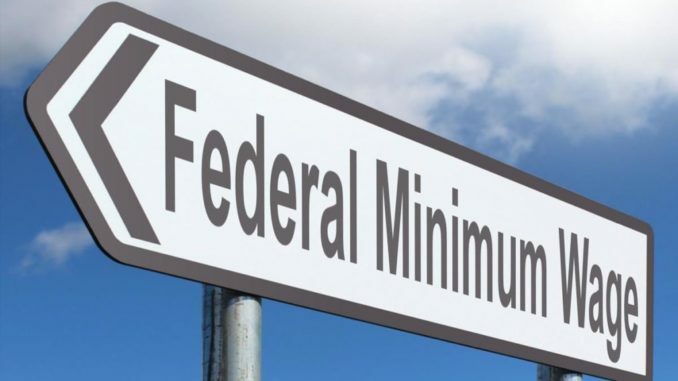 And if the suit ends in the truckers’ favor, then a US federal court will have ruled that truck drivers are entitled to the federal minimum wage of at least $7.25 per hour for a full 16 hours a day (all the time not spent sleeping). This includes time that would otherwise be considered “off-duty”. The idea of a truck driver making minimum wage still has a ways to go. And a conservative Supreme Court would likely not be in favor of obligating trucking companies to pay minimum wage. But if the ruling continues in the drivers’ favor, this could radically change the way that truck drivers are paid. There are many ongoing battles in the news regarding how much a minimum wage or a living wage should be. The highest profile battle recently was between Amazon and Senator Bernie Sanders (I-VT). Senator Sanders, who campaigned in 2016 on a $15 federal minimum wage, often criticized Amazon and its founder Jeff Bezos for not paying their workers a living wage. Without making a living wage, many Amazon workers ended up on government support programs. After Sanders proposed legislation targeting corporations whose employees end up on government support, Amazon eventually relented and gave their employees a raise. What Could the Future Look Like for Truck Drivers? If the court ruling ends up in favor of truck drivers, then truck drivers will be able to earn minimum wage of $7.25 per hour for 16 hours of work. But what could happen if this ruling also combines with a national push for a living wage of $15 per hour? Truck drivers could, in the future, be making more than twice what many are making now. How do you see the future of truck driving with this minimum wage ruling? Could a minimum wage ruling and a $15/hr living wage mean a renaissance for truck drivers?